Sandstones in Red Fleet State Park at Ulah (Western US State) have the dinosaur tracks impression but tourists have been throwing part of them into a nearby lake and hundreds of tracks have been damaged since half a year ago, according to Josh Hansen, the park manager. He also reported that he heard the dropping sound of stones into the lake twice and he was supposed to see a boy holding some pieces of dinosaur toe imprints in his hand and caught him immediately. Devan Chavez, the Park spokesperson said that he could find at least 10 of the visible footprints ranging from 3 to 17 inches missing in this past six months and it has become a big problem now. Chavez also added that tourists were not realizing it as a precious prehistoric evidence of dinosaur tracks instead they were just throwing them unknowingly without common sense. The park management has decided to get back the dropped pieces from the bottom of the lake using a team and as a preventive measure, signboards would be placed in the spot asking the tourists not to touch the sandstone. Hansen worried that people's mind are not recognizing their fault and he added that he had dealt with two similar cases in the past two weeks. So far, no charges were made against anyone, but, if the action continues, they would consider for a penalty. 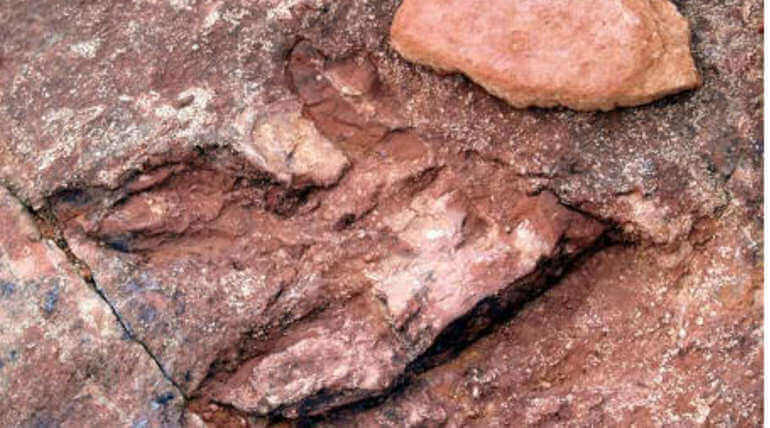 1993 released Jurassic Park movie showed a raptor called dilophosaurus that is said to be one of the largest carnivorous dinosaurus and the three-toed tracks found in the park would belong to them. The park was then a dry and dusty site. Palaeontologists suggest that these raptors would attack other dinosaurs surprisingly when they rest or drink from the swamp.